It’s a new year, and we’re coming out swinging. 2014 was great and all, we got to celebrate being a label for a solid year, and putting out lots of great stuff that we’re super proud of. But we’re not going to rest on our laurels. We’re not entirely sure what laurels even are, so the last thing we’re going to do is go napping on them, right? On Tuesday, January 20th, we’re going to release our first comedy album, “The Wind Has Been Blowing For Years,” by the incomparable Joey Ficken. This is his show that was recorded straight up live at DG’s Taphouse just a few short months ago. No overdubs, this is just Joey doing his thing for about 45 minutes, no breaks, it’s the whole show. 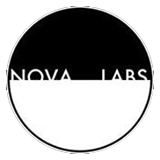 We’re so excited about it, and about all the great comedians in our area, that we’ve decided to introduce this as a sub-label called Nova Laffs. Joey’s album will be the first release under this category, and we’ll be looking into doing some more in the near future! At the end of the month, we have two release shows for you, January 30th at the Iowa Music Store and the 31st at DG’s Taphouse. We decided to get back to our noise and underground roots a little bit for this wave, so the first night will be dedicated to noise only. Moultrigger is performing, and we’re doing a deluxe Archives release of his classic album “Birds.” This is the first time this music has been available on CD, and there’s a whole extra bonus disc of unreleased stuff, music that was intended to be the follow-up to the album. To top things off, Moultrigger is performing a whole new set of bird-themed improvisations at the show. The Cryogenic Strawberries and Stratum are also both performing and releasing box set retrospectives, and we’ll be joined by BBJr., the noise legend from Eastern Iowa. Here’s the Facebook event for this epic-in-the-making show right the hell HERE. The next evening at DG’s we’ll open with a superjam of the noise acts from the previous evening, along with some special guests, and we’re calling that Microzeit, after the Zeitgeist festivals of the past. And we’ve got releases and performances from Jose Quervo and Grandchamp, along with a return throwdown from Secret Freedom (who just submitted a new song to NPR’s Tiny Desk concert series, wish them luck getting there! ), and our friends in Peace, Love, and Stuff, who have just released an album of their own. You can find info and the Facebook event for that right goddam HERE. After that, we’ll take a short break, but we’ve already got a good chunk of April’s releases mapped out, and in March we’re going to host a Nova Labs Unplugged show at Bluestem here in Ames. There’s also a lot of our artists back in the studio, creating follow up albums that you can expect later on this year, including Doctor Murdock, Liana, Secret Freedom, Obsidian’s Dream, and The Observer. And other stuff percolating in the wings as well. We’ve got about as restless ears as you do.